This isn’t one of those articles where I pretend that I had some personal connection or insight into Philip Seymour Hoffman, who died Sunday of a heroin overdose in a tragedy that has saddened and mystified so many. His death, alone in a bathroom with a needle in his arm, doesn’t seem to square with either the brilliant artist we know from movies and the stage, or the jovial-sounding father who could be seen biking his kids to public school in Greenwich Village. But I was lucky enough to be in the same room with Hoffman once, along with 1.700 other people at the Eccles Theatre at my first Sundance Film Festival in Park City. It was an early morning screening of a film called “Jack Goes Boating,” which was Hoffman directed as well as starred in. The term “labor of love” is too easily thrown around, but it clearly was that for Hoffman — the story of a sad chauffeur who pulls himself together to woo a shy funeral home secretary (Amy Ryan), “Boating” was based on a play he had done with the same actors a decade earlier. It’s a film that I really liked at the time, and then kind of forgot about — Hoffman had so many great performances in him. He was an actor who was fearless in pouring everything out on the screen, whether he was the lovelorn Scotty of “Boogie Nights” or the obsessed director of “Synedoche, New York.” It wasn’t always pretty, but it was always deeply human. And then, because we expected to see him expose everything about his character to us, it was such a shock when he played a closed-up, walled-off character, like the obstinate baseball manager in “Moneyball” or even the villain in “Mission: Impossible 3.” He gives you nothing, suddenly, and it’s terrifying. 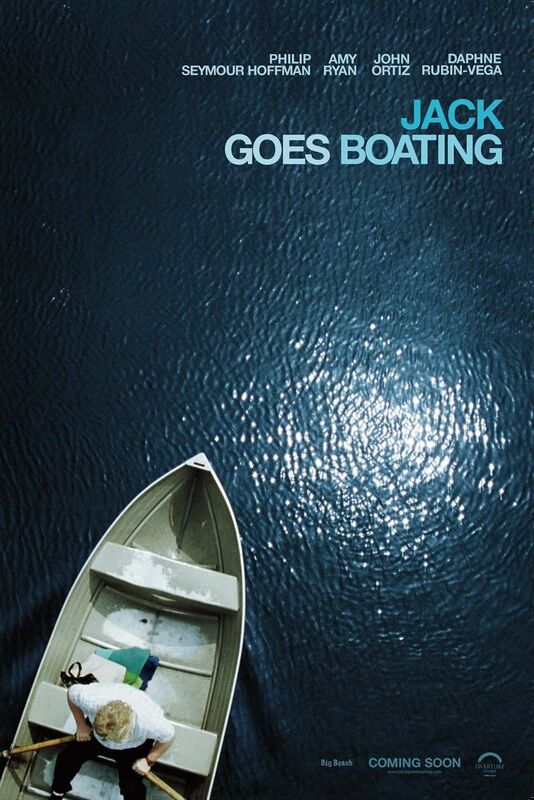 I’ve been thinking about “Jack Goes Boating” a lot in the last 24 hours; I won the above poster in a Milwaukee Film contest a couple of years ago, and just finally put it up on my wall. It’s one of the few films where a Hoffman character didn’t just reflect us, but inspires us a little. Hoffman’s Jack starts off as another one of his lost souls, sad and aimless. But he makes himself better, through sheer force of will. He promises Amy Ryan’s character that he will take her boating, even though he doesn’t know how to swim. So he learns how. He promises her he’ll make her dinner, even though he doesn’t know how to cook. So he learns through visualization, pantomiming the movements he needs to make, over and over, until they become real. It just struck me now that this, of course, is a perfect metaphor for Hoffman’s acting, of all great acting, pantomiming and pretending until he became real to us. He could make that connection so deeply with an audience, uncomfortably deep at times. And he seemed to have decades of great performances ahead of him. Hoffman was us, and each other, for good and for bad. And he is terribly missed.